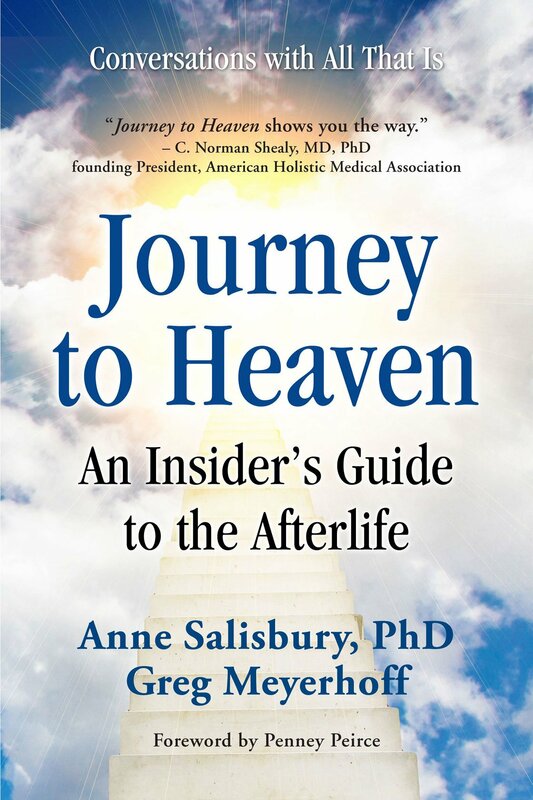 If you have ever wondered about the afterlife, the transition of a loved one or your own crossing over, this is for you. Anne Salisbury, PhD, and Greg Meyerhoff are award-winning authors, internationally known intuitive, and entertaining speakers who provide intuitive consulting and coaching for relationships, business, health, pets, and loved ones who have crossed over. Watch the brief Journey to Heaven book trailer.